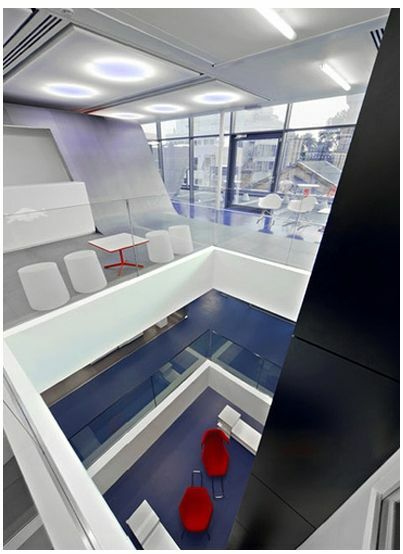 As well as slides and a beautiful roof terrace, employers of Red Bull get to cruise around a fantastically modern office space and play table tennis at lunch! To inspire the creativity needed to work for the brand, and to possibly burn off all that extra energy they have from sampling the energy drink, this office is more like a playground than a place to work. How do you get to your meetings? 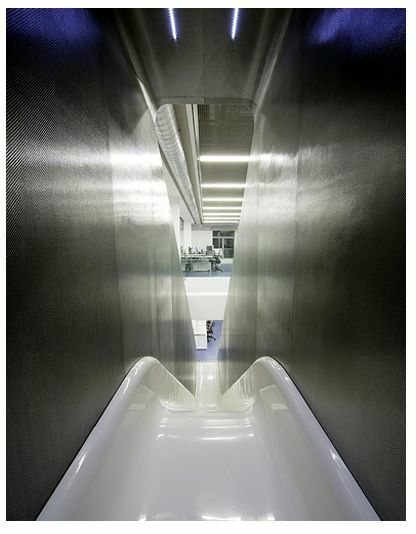 According to the adverts, Red Bull gives you wings – and the employees of Red Bull certainly do fly into their meetings – on slides! 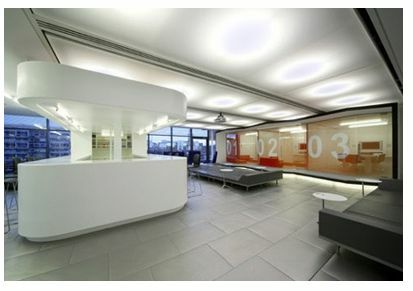 Here at Serviced Office Company, we offer a home away from home type experience where comfort and inspiration is paramount to our clients, but we thought that the Red Bull offices deserved a mention in our office of the month for going above and beyond creating an exciting and energetic work space! Staff area: table tennis anyone?